The LoadCentral webtool is using the “https” protocol. The ‘s’ means ‘secure’. But with today’s technological advances, no system is secure anymore. Even banks and highly secured facilities are hacked. But with due diligence coupled with these tips, your LoadCentral account should be safe. Regularly change your FL (First Level) and SL (Second Level) passwords after you have been registered as a Dealer, SubDealer or a Retailer. FL and SL passwords should not be the same. The more people know your log in details, the more vulnerable your account is. You can set the “Web IP Address” from your profile to Static type. This means you can only log in the webtool from your predefined IP address. Only do this when your IP address does not change regularly. Otherwise, use the Dynamic type. One great feature of LoadCentral is the Security Key. It is an additional level of protection from hacking your account. It is a six (6) digit number generated from a security application (downloadable to a PC or Android phone) that will be used to authenticate the user on every login. Each number is randomly generated and unique that is valid only within 1 hour after the key is generated. The generated code has to be entered before logging in. So even if hackers know your passwords, they also need to have your unique key that was generated within 1 hour before they could access your account. But be sure to read and follow the instructions very well. We have received a lot of reports that even the account owners could not access their accounts because they did not follow the instructions OR forgot their security keys. Check for keyloggers installed on your PC, tablets and phone by using Anti-spyware utilities to avoid any unauthorized access of your accounts. Make sure that your virus definitions are always up-to-date. Do not log your LoadCentral account in public computers and internet cafes. 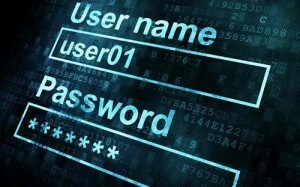 Most of the computers have keyloggers installed on them and the web browsers, like chrome and firefox, are setup to save your username and passwords. LoadCentral will NOT ask for your passwords. Do not trust anyone on social networks (ie. Facebook, Twitter, Pinterest, Instagram, LinkedIn, etc) that ask you to log in a link to receive free walletload credits. If you received a similar request in your email, delete it immediately. Be suspecious. The only official link of the LoadCentral webtool is https://loadcentral.net and nothing else! Almost all of these are full of viruses and keyloggers. Install software and applications from reputable sources only. A lot of android apps that are being used by retailers and subdealers are developed by third-party companies and developers. You do not know what is happening in the background when you use these apps. An unscrupulous developer can save your username and passwords then use it later on to access your account. It is the same modus used by phishing sites. That is why it is strongly recommended to install the app developed by Uniwiz only. Be aware of onlookers. They usually observe and memorize your username and password. When logging in the webtool and there are people around you, you can protect your login details by covering or partially concealing your keyboard. Feel free to comment to add more tips. Sharing is caring!